Kristin Hendricks developed a love for the Chicago area when she moved here seven years ago. As a real estate broker, she appreciates the opportunity to share her knowledge of the city’s many vibrant neighborhoods with her clients. Prior to moving to Chicago, she graduated with a Bachelor’s degree in Physical Education and Health from the University of Michigan. She is also a physical education teacher and coach in Evanston for students’ in grades K-8. Not only does she teach and coach, but she also enjoys volunteering in her free time. This past year, she volunteered with Access Health Africa in Malawi to provide medical and dental care for people in an underserved refugee camp and village. Her commitment to helping others carries over to her relationships with clients. 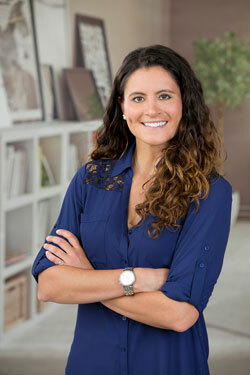 As a former Division 1 college basketball player at Central Michigan University, she has the work ethic and dedication to help her clients meet their real estate goals. She has knowledge and expertise in buying, selling, and renting both condos and single-family homes. Through her years of living in Evanston, Edgewater, and Andersonville, she has developed a wealth of knowledge about the local communities she has resided in. With a Master’s degree in Educational Technology from Central Michigan University, Kristin quickly realized what a unique asset Dream Town’s technology and marketing strategies play in every transaction. Kristin’s mission is to be a reliable, knowledgeable and responsive resource for her clients to help support them in their real estate needs. In her free time, Kristin enjoys visiting with her family and exploring new restaurants in Chicago with her girlfriend.